Lindsey Engels, a 2008 member of the Colts, submitted this photo and caption. Hello, my name is Lindsey Engels and I marched as a member of the 2008 Colts. I am also a member of the University of Nebraska Marching Band that traveled to the Gator Bowl in Jacksonville, Fla. recently. 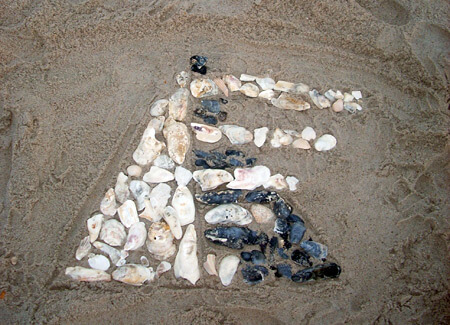 We made a stop at the beach and I showed my support for the Red Team by constructing our triangle logo out of shells on the beach. Go Red Team, and Go Big Red!